Tia Loli, grandma, mom. 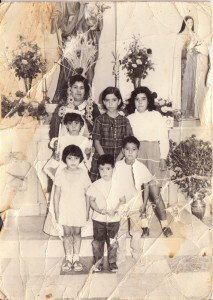 kids: brother Teodoro, Pedro (age 4), and sisters Susi & Consuelo. 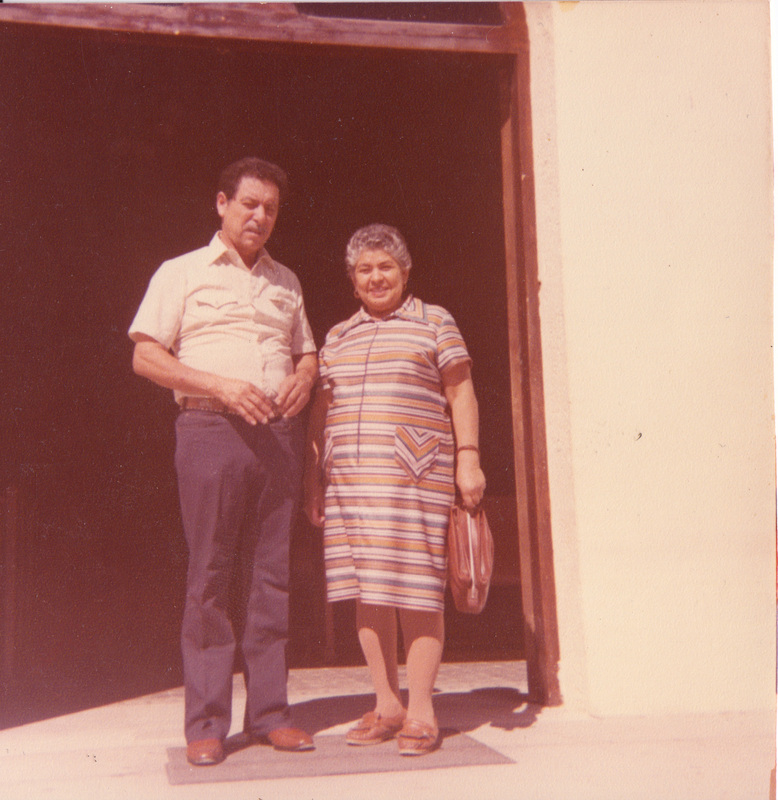 When I was very young, my father moved to Arizona in order to make money to support our family. It was difficult not having him at home, but I always admired that he was working hard because he loved us. 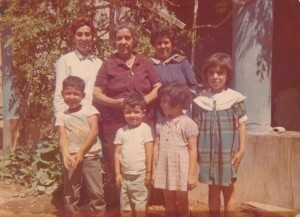 Pedro & family: mom; his sisters Consuelo, Pinky, Ana Louisa, Susi; Pedro & his brother Teodoro. This is the family as they were raised while their dad was in AZ. During the summer vacation, my mom would take my siblings and I to the United States to visit my father. 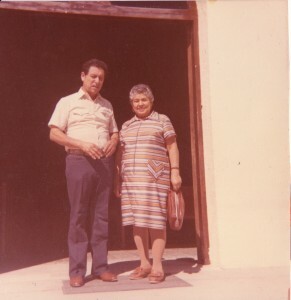 My dad worked at a citrus orchard in Arizona, and I was so excited to go there and see him. I still remember that he would play with us under the lemon trees where we would pretend like they were little houses. 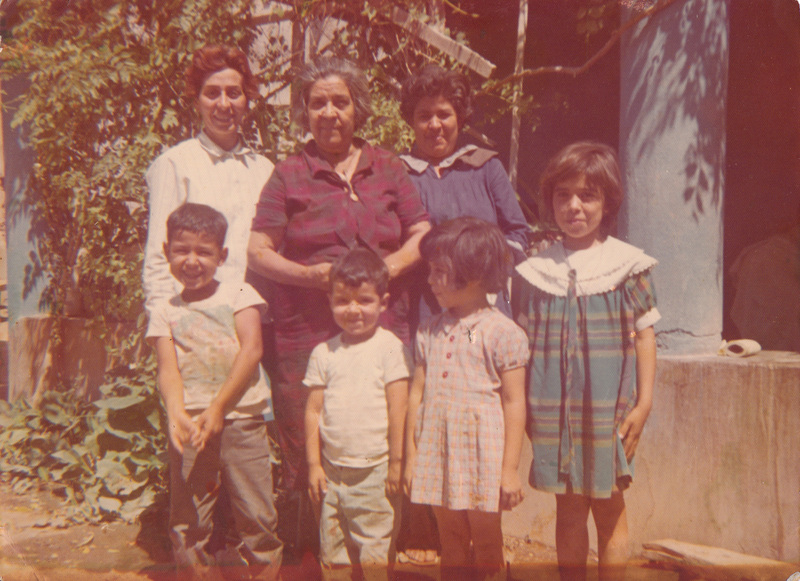 During those years, I learned how important family is, and I knew that I wanted to have a family of my own one day. Since I was the baby of the family, my mom treated me less strict then all of my older siblings. I remember that I would come home from school and she would try to play jokes on me by pretending like she was asleep and then jumping up when I came to wake her up. My mom would usually wake me up very early in the morning with a warm piece of bread and coffee. I would go around town before school selling the bread and empanadas that my mom cooked. Everyone loved the bread that my mom made, and she even bought me a bike so that I could go around town faster to sell the bread. My wife still insists that I am a momma’s boy because when I came to the United States I had to go back after a year because I missed her so much. I love my family very much, and it was very hard to be apart from them when I moved to the United States.